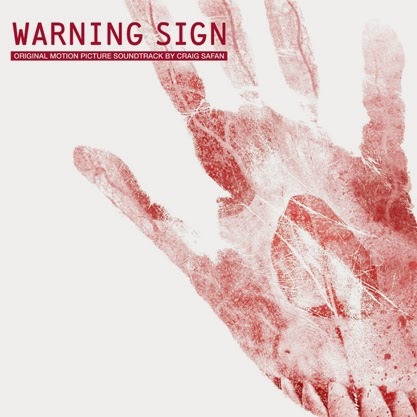 Invada Records will release an expanded, re-mastered edition of the WARNING SIGN soundtrack digitally, on CD and LP in November. 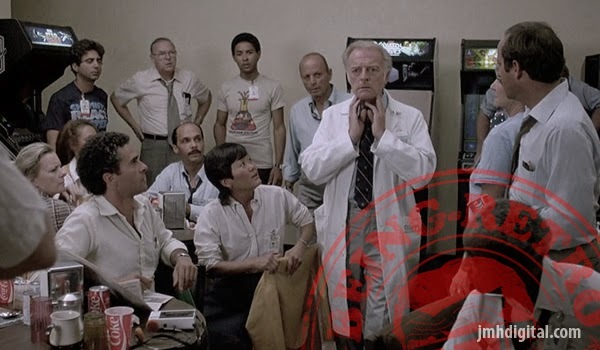 The album features the original score by Craig Safan (THE LAST STARFIGHTER, TV’s CHEERS), along with 20 minutes of unreleased music presented as bonus tracks. WARNING SIGN was one of the first all-electronic film scores, recorded using a Synclavier synthesizer - an incredibly expensive piece of kit at the time for the story of a man-made virus that is accidentally released, turning the laboratory workers into zombies. Craig Safan has composed the music for over thirty feature films including MR. WRONG, STAND AND DELIVER, MAJOR PAYNE, NIGHTMARE ON ELM STREET IV, REMO WILLIAMS, and THE LAST STARFIGHTER. For the small screen, Craig is best known for his work as the composer for the series CHEERS for which he was awarded eight ASCAP Top TV awards, as well as for his music for LIFE GOES ON, which earned Safan an EMMY® nomination. Safan’s music has been performed by Bernadette Peters, Nathan Lane, Faith Prince, Leon Redbone, the London Symphony, and Cincinnati Pops Orchestras. His musical, BUTTERFLY was produced at the Goodspeed Opera House, and LOLA (THE TRUE STORY OF LOLA MONTEZ) was part of the Eugene O’Neill Musical Theater Conference. His new musical CLUB CALIFORNIA was recently produced at Arcadia University. Craig also composed all the music and songs for the 144th edition of Ringling Brother's Barnum & Bailey Circus. His CD CIRCUS! was recently released on Perseverance Records. Safan's music can be heard on television today including DANCE MOMS, HARDCOVER MYSTERIES, MILLIONAIRE MATCHMATER, PIT BOSS and many other reality shows. In 2014 Craig conducted his film music at the 10th annual International Film Music Festival in Cordoba, Spain, and was pleasantly surprised to receive the festival’s Basil Poledouris Award For A Film Music Legend. Intrada Records will reissue the soundtracks for REMO WILLIAMS and THE LAST STARFIGHTER later this year. The WARNING SIGN soundtrack will be available digitally, on CD and on LP in November 2014. “Vinyl?! I really thought it was gone for good… but now I’m going to have to go out and buy a turntable!” joked Safan.